If you’re looking for an affordable plumbing, heating, and air conditioning company in Brookside, NJ you’ve come to the right place! At Rite Rate Heating & Cooling, we have highly skilled and licensed technicians who will help with all your plumbing and HVAC issues. We take pride in providing professional plumbing, air conditioning, and heating repair in Brookside, NJ! In addition to repairs, we also specialize in installations, replacements, and maintenance. Call our plumbing, air conditioning, and heating company today for a free estimate and we’ll be happy to assist you! 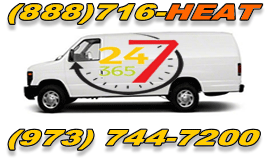 Do you need your commercial or residential heater fixed but its 2 AM and you don’t know who to call? Rite Rate is a heating company in Brookside, NJ that offers 24-hour emergency heating repair! Anytime day or night, our contractors are on standby to repair any heater in your house, business, or office building. Our heating company also installs and replaces boilers, furnaces, and hot water heaters regardless if their fuel type is gas, oil, steam, electric, or dual fuel. There’s no heating job too big or too small for our contractors. Call Rite Rate anytime you need heating repair, installation, or replacement! Can you imagine summer without an air conditioner in your house or business? Don’t let this happen to you! Rite Rate is a licensed air conditioning company that offers the best air conditioning repair, replacement, and installation! You can count on us to fix a broken AC compressor, replace the fan, repair the ductwork, or install an AC condenser. We can service all makes and models of air handlers, packaged air, heat pumps, ductless air conditioning, forced air, and central air conditioning. Whatever you need done with your air conditioner, our team of experts can handle it! Contact our air conditioning company for a free estimate today! Rite Rate is the go-to plumber because we keep our rates affordable and always guarantee customer satisfaction. Our team of highly qualified plumbers is available 24/7 if you need emergency plumbing repairs! We also offer plumbing replacements, installation, and drain and sewer cleaning. Our plumbers can service any toilet, sink, faucet, drain, shower, bathtub, or sump pump in your home or business. Call Rite Rate if you need residential or commercial plumbing services!